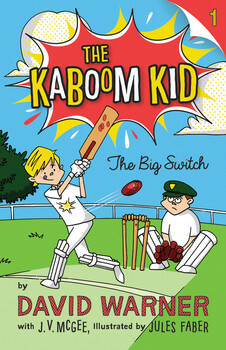 The Big Switch is the first in new series of chapter books released by Australian cricketer David Warner. The series features Little Davey Warner, a cricket-mad 11-year-old from Sandhill Flats who wants to play cricket with his mates every minute of the day...but there is always something getting in their way. The brief chapters and cartoon style illustrations make this a book that will appeal to younger readers and any cricket-loving 7-12 year olds. Three books have been released so far and the fourth is due out in March 2015.